In part 1 of this article, we began our examination of sobriety court. We noted that the goal of sobriety court programs, which usually reserved for 2nd offense DUI cases (and, in some cases, 3rd offenses, as well) is to help people stop drinking through extensive counseling and treatment coupled with intense probation, supervision and testing. I likened DUI sobriety courts to restaurants, noting that everyone is different, and while I may not care for the one you think is really great, and you might find my favorite to be nothing special, either. I further pointed out that some sobriety courts are kind of fixed on a one-size-fits-all approach, using the “traditional” intensive outpatient treatment program along with AA as the only treatment option, while others are more flexible, and understand that different recovery methods work for different people. It was pointed out that, amongst those who ultimately get sober and really “get it,” the light-bulb moment can come at any time, and that some people even have their epiphany after treatment has ended. We ended by seeing how the old AA adage, “fake it until you make it,” that advises people who aren’t fully committed to sobriety to keep coming to meetings can be both a good thing, especially when it ultimately leads a person into recovery, and a bad thing, particularly where it wastes resources in sobriety court programs on people who are not genuinely interested in getting help with their drinking. Here, in part 2, we’ll pick up right at that point. I don’t have a solution to the dilemma of who should “do” sobriety court other than to generally, if not gently, advise against it if you’re not truly interested in getting help. This assumes, of course, that you believe that your relationship to alcohol has been, at least on occasion (as in 2 DUI arrests), problematic. We don’t need to worry about labels (alcoholic, alcohol abuser, alcohol dependent, binge drinker, etc.) but rather that you merely perceive your use of alcohol as being, at least on those occasions, troublesome, and that you see drinking as not an entirely risk-fee proposition. You need to see at least this much on the inside looking out, because you need to understand how YOU are seen from the outside looking in. In plenty of my other DUI articles, I’ve explained that pretty much everyone – meaning the court system, the Michigan Secretary of State, the police, the public, and, most of all the Judge – sees a 2nd offense drunk driving as virtual proof that the person has a drinking problem. This is so much the case that the Secretary of State automatically revokes a person’s license for any 2 alcohol-related traffic conviction within 7 years of each other. In that regard, I can call upon my extensive experience as a Michigan driver’s license restoration lawyer, where my client base is exclusively made up of people who have quit drinking for good. As much as my clinical education and DUI experience bring to the table, it is in having heard (collected, really) the stories of thousands of people who have gotten sober that I have seen how, for some people, a 2nd DUI is THE wakeup call, while for others, it is not. I’ve handled and won (the first time around, no less) a license appeal for a fellow with 13 prior DUI’s. The first 12 were not enough for him to see the problem. Another client with 9 DUI’s had either 22 or 23 prior stints in treatment, and none of them worked; he got sober through AA while in prison. The point I’m driving at is that while the whole world sees a 2nd DUI offender as having a troubled relationship to alcohol, plenty of those 2nd offenders (and 3rd offenders, 4th offenders, etc.) do not. What matters, as a starting point, is that anyone facing that 2nd or 3rd offense understands that NO ONE is going to agree that they don’t have some kind of problem, and that it’s just “bad luck” that they got popped again. That never happens and it never will, and to rely on “unlucky” as part of your defense is a sure way to screw your case up in the worst possible way. Even if you don’t believe you have a problem, accept, at the outset, that the court system absolutely does. At least on the face of it, sobriety court is for people who know their drinking had become problematic. Here, “problematic” has nothing to do with the frequency of drinking. One person may drink a glass of wine every night with dinner, never consume any alcohol beyond that, and not have any kind of problem. By contrast, someone else may drink once every few weeks, or even months, but occasionally run into trouble of some sort when he or she does; this person has a problem, if we can understand “problem” to mean that drinking involves a risk of things going wrong. Very often, when any one of us has to look inward, at our own selves, to see if something is wrong, we automatically look outward and find others who are “worse” than us in some way. It’s almost instinctive to point to the person who is “worse” and say, “I’m not as bad as him or her…” To the person struggling with the dynamics of his or her relationship to alcohol, the ideal of someone with a drinking problem is always some kind of worst-case example, if not at least a worse case example. It helps to broaden the definition of drinking problem by remembering the old adage that “anything that causes a problem is a problem.” People come to this in their own way. Maybe Second Offense Suzie can drink socially, and without incident, most of the time. It’s the other times that present the risk, and give rise to the problem. I’d be neglecting the obvious if I failed to point out that, statistically speaking, the number of people who are charged with a 2nd offense DUI and who DO NOT have any kind of drinking problem is incredibly low. From a Judge’s point of view, he or she is more likely to see a pink unicorn galloping through the courthouse parking lot than a 2nd offender who doesn’t have a problem. And here is the thing; it is a 100% guarantee that a person who will never drink again will never drink and drive again. Regular court (in other words, not sobriety court) with probation and testing is more capable of insuring compliance with no drinking for the specific period that a person is on that probation. 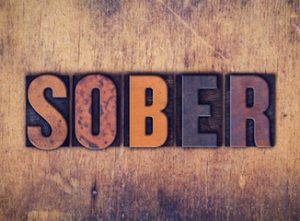 Sobriety court aims to change a person’s behavior for the long run; it’s goal is to help him or her quit drinking for good. There is a line of thinking that follows the “fake it ‘till you make it” plan and is ready to put anyone into sobriety court who wants to go, especially because funding for the programs require that there be participants. Who knows, maybe some of those people will experience their “epiphany” in the course of treatment, if they haven’t already. Then there are those, like me, who feel that these programs work best if the participants are genuinely interested in the help that’s available, rather than just the driver’s license that’s like the prize in the cereal box. Some sobriety court Judges and programs have a more “panoramic” view of treatment, and understand, better than others, that a treatment protocol that works for one person may not work at all for another. For every person who thrives in AA, there are probably another 10 who don’t. A particular counselor may be great for some people, but not click with others. It is imperative for everyone to understand this. So what’s the takeaway here? After having said my piece, I realize that there isn’t any profound single point to this article, but I think, instead, I’ve raised a few issues that are worthy of consideration by anyone interested in sobriety court. At the end of the day, there is nothing better than having really helped someone get over the hump and get sober. Sure, I get paid for my work, but the best rewards I’ve ever received are the thank you’s from those clients whose lives I’ve helped changed and who now enjoy their sobriety. All the money in the world can’t touch the golden feeling of knowing that you helped point another human being in a direction that has made their lives so much better. Sobriety courts aim to do that, and with the right direction, a little luck and enough commitment and support, they can often do that. If you’re facing any DUI charge in the Detroit area (Macomb, Oakland or Wayne County), I can help. If you have been charged with a 2nd offense, or even a 3rd offense, I can probably help more than you know. As I noted before, I’m in business to make a living, but I really want to help people, as well. Part of that involves a good attorney-client relationship. If you’re looking to hire a lawyer, take your time and do your homework. Read the articles lawyers write. Read more of mine. When you’ve narrowed your choices, pick up the phone and call around. You can reach Monday through Friday, from 8:30 a.m. until 5:00 p.m., at 586-465-1980. We’re here to help.